Explanation: The Crab Pulsar, a city-sized, magnetized neutron star spinning 30 times a second, lies at the center of this remarkable image from the orbiting Chandra Observatory. 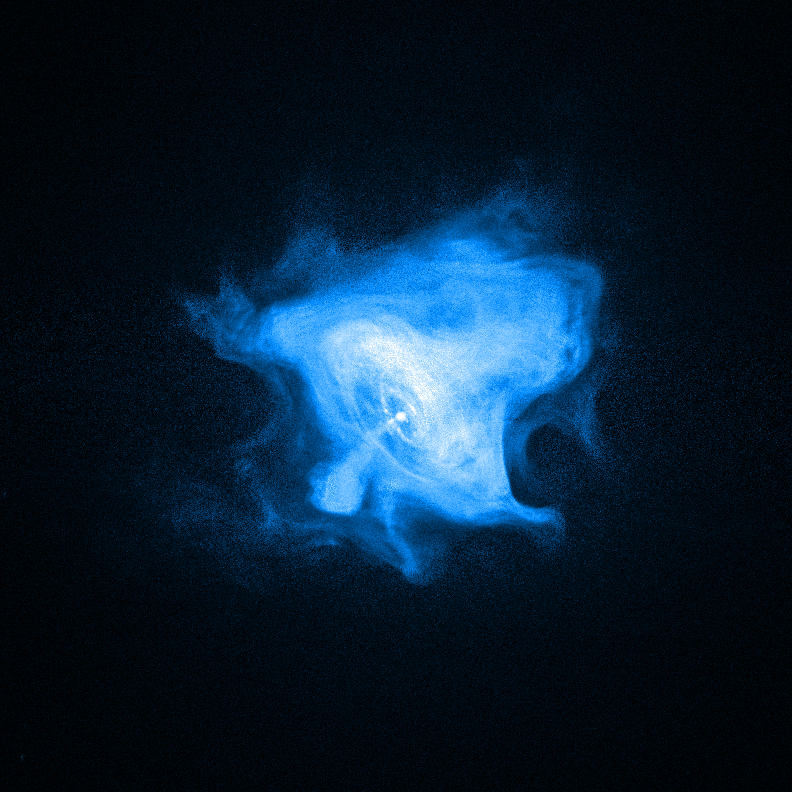 The deep x-ray image gives the first clear view of the convoluted boundaries of the Crab's pulsar wind nebula. Like a cosmic dynamo the pulsar powers the x-ray emission. The pulsar's energy accelerates charged particles, producing eerie, glowing x-ray jets directed away from the poles and an intense wind in the equatorial direction. Intriguing edges are created as the charged particles stream away, eventually losing energy as they interact with the pulsar's strong magnetic field. With more mass than the Sun and the density of an atomic nucleus, the spinning pulsar itself is the collapsed core of a massive star. The stellar core collapse resulted in a supernova explosion that was witnessed in the year 1054. This Chandra image spans just under 9 light-years at the Crab's estimated distance of 6,000 light-years.